When Henry Ford imagined the Quadricycle in 1896, I doubt he envisioned driving becoming such a mundane task. The automobile was a rich man’s toy. Built by hand and one-by-one, so far out of reach for the common man it was considered the epitome of extreme luxury. By 1908, Ford changed all that with the invention of the Model T assembly line. Ford's mass production brought the car to the everyman. Fast-forward to today, and driving is rarely seen as a luxury. Today, luxury takes the form of in-car ‘info-tainment’, with in-vehicle touch screens, streaming music services, satellite navigation, and Wi-Fi hot spots - all to keep our minds fed while we sit in traffic. For many, driving is now seen more as a chore rather than an experience. In order to sell you a new vehicle every 4 years, many automakers are using IVI as a proxy for luxury. 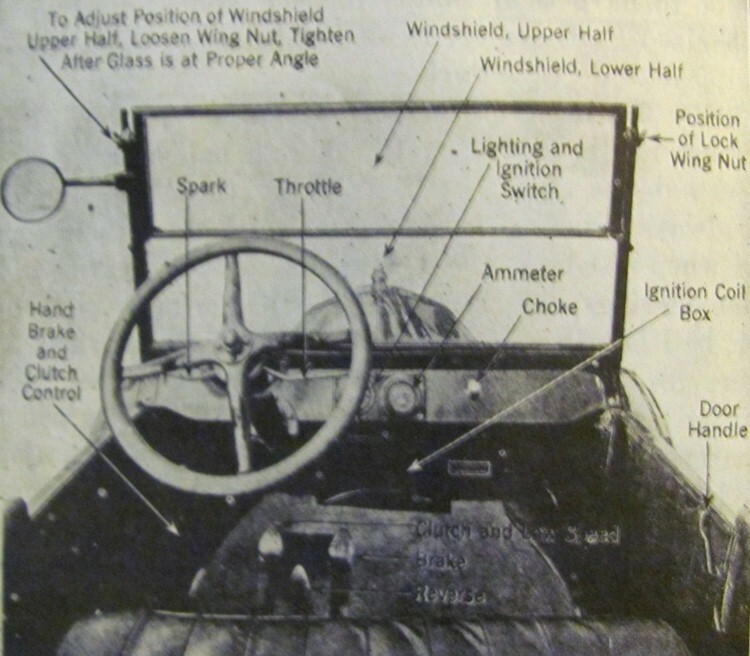 The car UX started out simple. All the information that was relevant to the driver at the time was a quick glance away. In less than 2 lifetimes, we've gone from the first combustion engine to fully electric and hybrid cars, and as more cars made their way into driveways, the in-car UX grew ever more complex. More and more bells and whistles are being crammed into the driver’s line-of-sight. This is most evident in the last 5 years, and much of it seems to be at the expense of safety. Motorcycles have had the same (relative) technological advances and have still kept their UX pure to the essentials. Why? Safety is championed over anything else. No one would think of putting a touch-screen on a motorcycle - or would they? Geoff Teehan of Teehan and Lax writes a great article outlining the current state of the Car UX. He proclaims that there is bad design everywhere, especially in the car. DRVEN's recent trip to the 2015 Canadian Auto Show allowed me to explore a variety of in-car user interfaces. One that particularly caught my eye for obvious reasons was the Tesla Model S.
With a huge 17-inch touch screen, I was expecting this to be the needle in the haystack. But even the Model S fell flat. The vibrant, ultra-large LCD screen is a distraction with a considerable amount of interface lag when you pinch and zoom. The slow interface, in combination with a beveled edge design aesthetic gives the feel of a kiosk at the mall, rather than a $75K (luxury) car. Most cars don't (yet) drive themselves. So, despite of the recent advancements and innovations in lane assist, distracted driving is still very much an issue. In order to reduce the amount of time drivers 'look away’, auto manufactures place a number of UI controls on the steering wheel. Tesla’s large screen, in combination with the unresponsive software means that a driver's focus is spent on the screen a lot longer than a quick glance. Not good at all. So where’s the light at the end of the tunnel? Matthaeus Krenn, a San Francisco-based product designer, recognized the trend where automotive companies replaced traditional in-car controls with touch screens. He noticed that this change removed the immediate responsiveness and tactile feedback of pressing an actual button, requiring the drivers full attention to be placed on operating the touch screen in order to turn up or down the heat. Matthaeus’ answer is a completely revolutionized user experience. Relying on minimal graphics and a quick and responsive interface where in-time the driver can rely solely on muscle memory to control the in car features. Cooper wrote a satirical statement in their article "the best interface is no interface" . In the article they quote Donald Norman, the writer of "The Design of Everyday Things" and a widely regarded expert in the field of Design Usability, Engineering and Cognitive Science. At DRVEN, we see glimpses into this future with Siri, Google’s Voice Search and Cortana entering the car environment via Android Auto, CarPlay and Windows in the Car. We need to address the future by looking at the past, do away with overly complicated UI’s and put the focus back on driving. Our approach centers on a distraction-free, minimal in-vehicle UI, audible feedback and control coupled with an intuitive information hierarchy and context-appropriate interface affordances. Until cars drive themselves, and we can be 100% distracted by infotainment systems without any consequences, we will work to re-focus the in-car driving experience on driving.